You should take that thermal comparison "test" with a very large grain of salt. The bottom heat patch of the Competitor B phone is obviously due to it charging at the time, but it is unknown if the other two phones also draw power at the same time. 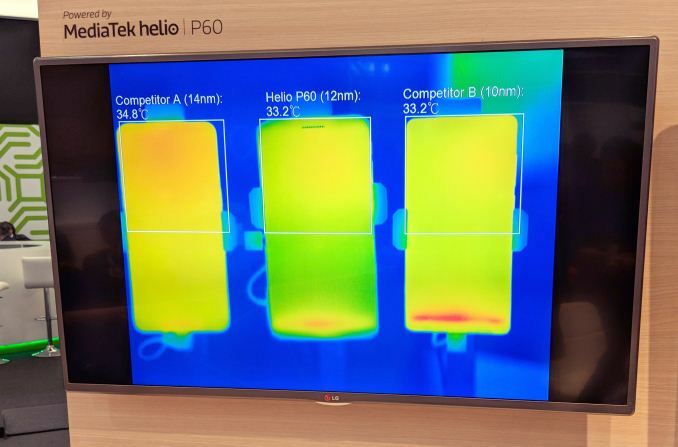 Competitor A does not appear to be charging (its bottom is barely orange at all), while the Helio P60 phone also does not draw any power. It's both cortex A57 and 20nm that doesn't work. Both Huawei and mediatek refuse to release A57 (X10, kirin 930). 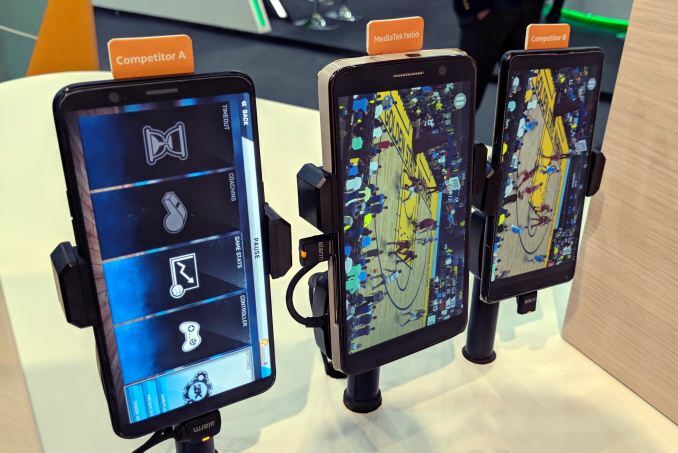 Qualcomm use it for scoring in benchmarks and release crappy soc. Then they use these problems to make people think their custom cores are better. They aren't (on both krait and kryo on 820). Process node comparisons are almost meaningless now because each foundry has different ways of calculating feature size. Mediatek have been relegated to the bargain basement end of the market, their chips are dirt cheap but support is woefully lacking. They also haven't learned anything about GPL licensing and code release requirements either.